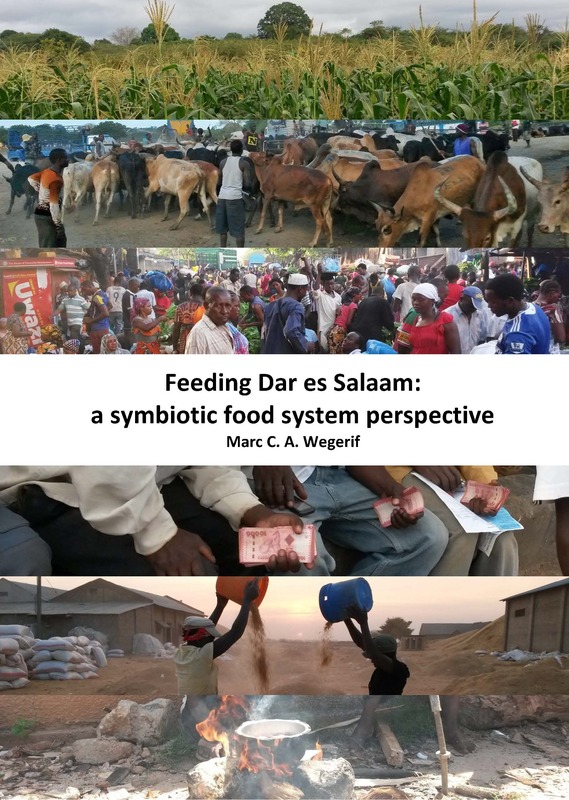 On Thursday 22 June 2017 at 11.00 hrs Marc Wegerif will defend his PhD thesis entitled ‘Feeding Dar es Salaam: a Symbiotic Food System Perspective’ in the Auditorium of Wageningen University. The ceremony will be live streamed by WURTV but can be viewed later as well. The full thesis will be available online after the defence ceremony. Marc is currently Land Rights Policy Lead for Oxfam and based in Johannesburg, South Africa. Before that he was in Dar es Salaam (Tanzania) as Food and Land Rights Advisor for Oxfam with a focus on Horn, East and Central Africa. During that time he also undertook the fieldwork for his PhD thesis. His thesis is based on qualitative research that explored the food system which feeds most of the over 4.6 million residents of the fast-growing city of Dar es Salaam in Tanzania. Marc followed key foods (maize, rice, potatoes, green vegetables, eggs and milk) from the urban eaters to the retailers, processors and primary producers. What has been found is a “symbiotic food system” made up of multitudes of small-scale and interdependent actors that together produce the food and get it to urban eaters at a city feeding scale. They do this without any vertically – or horizontally – integrated corporate structures. The symbiotic food system that feeds Dar es Salaam is not perfect, but it is working and worthy of further research and interventions to create a more enabling environment for such foods systems to flourish in Tanzania and elsewhere. This is a call for papers for a special issue about ‘City region foodscapes’ of the open access journal Sustainability – Section Sustainable Urban and Rural Development. At the upcoming Resilient Cities conference of ICLEI (the international network of local governments for sustainability) a special Urban Food Forum will be organized by ICLEI and RUAF in collaboration with the SUPURBFOOD program. The Resilient Cities conference will take place from 8 – 10 June in Bonn (Germany): for more information about the program, click on this link. The Urban Food Forum will take place on Wednesday 10 June 2015. The Forum will feature a Panel with city leaders on good practices for managing resilient city-region food systems. Participants will include representatives from cities such as Cape Town, Nairobi, Ghent, Amman, Medellin, and Walvis Bay. 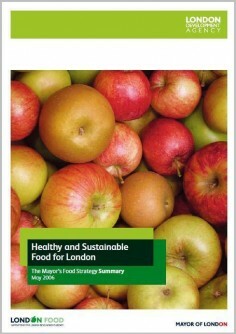 A SUPURBFOOD supported policy brief and the Urban Agriculture Magazine special issue on city region food systems will be presented. Following the opening session, two technical sessions will be held. The first, organized in cooperation with GIZ, will focus on Planning resilient food systems at an urban and metropolitan scale with speakers from UNEP, GIZ, and START with a discussion on how to operationalize the water-urban-food energy nexus. The second will examine the role of small and medium enterprises in urban food system development and will feature innovative SMEs working in the field of city region food systems from the cities of Rotterdam (The Netherlands), Riga (Latvia), Vigo (Spain) and Bristol (UK). WG8 – Food systems and spatial planning. Towards a reconnection? After a positive evaluation of the abstract the author will be asked to upload a paper of max 10 pages which will be published online on the website of the conference. There will also be the possibility to submit a short paper of max 2 pages enabling the authors to still publish their results in peer reviewed journals after the conference. Short papers will be published in a book of proceedings. The procedures for the papers will be published on the conference website soon. SITOPOLIS – The Journal of Urban Agriculture and Regional Food Systems is a multi-disciplinary, peer-reviewed and open access journal focussing on urban and peri-urban agriculture and systems of urban and regional food provisioning in developing, transition and advanced economies. The journal intends to be a platform for cutting edge research on urban and peri-urban agricultural production for food and non-food (e.g. flowers, medicine, cosmetics) uses and for social, environmental and health services (e.g. tourism, water storage, care, education, waste recycling, urban greening). It aims to explore, analyse and critically reflect upon urban and regional food production, processing, transport, trade, marketing and consumption and the social, economic, environmental, health and spatial contexts, relations and impacts of these food provisioning activities. The journal addresses one of the contemporary grand societal challenges: how to secure the availability, affordability and access to culturally appropriate, nutritious and safe food for a growing and rapidly urbanizing world population in times of increasing resource scarcity, diet-related ill-health and climate change. This contemporary grand societal challenge requires a multi-disciplinary approach and hence SITOPOLIS welcomes contributions from a wide variety of disciplines, such as sociology, economics, marketing and consumer studies, gender studies, human and economic geography, urban and regional planning, architecture, urbanism, landscape architecture, political science, agronomy, soil science, water management, and public health studies. The journal publishes original research as well as critical reviews. The journal is published by Baltzer Science Publishers in collaboration with ACSESS, the Alliance of Crop, Soil and Environmental Science Societies in the USA and with the RUAF Foundation. Editor-in-Chief is Prof.dr. Han Wiskerke, supported by an international and multi-disciplinary editorial board. Op donderdag 15 mei vind in De Fabrique in Utrecht de Dag van de Stadslandbouw plaats, dit jaar in samenwerking georganiseerd met het PUREFOOD netwerk dat op 14 en 15 mei haar eindcongres houdt. Voor de Dag van de Stadslandbouw zijn de organisatoren nog op zoek naar een paar studenten die hand- en spandiensten kunnen verrichten op 15 mei (o.a. bij de ontvangst van de deelnemers en bij de start van de workshop sessies). Heb je belangstelling om te helpen, meld je dan aan bij Marco Lipsius van B2B Productions (marco.lipsius (at) b2bproductions.nl). The latest issue of Foodlinks News is out! You can read about our visit to the city of Vitoria-Gasteiz in Spain where we had a meeting with the City Council about new initiatives on organic peri-urban agriculture. We also share with you some stories from members of the urban food strategies community of practice (CoP). What kind of value did they get from participating in this CoP? Furthermore you can see a list of upcoming and past events, new library resources as well as a list of some of our new members. Would you also like to become a member? Sign up for the Short Food Supply Chain, Revaluing Public Sector Food Procurement or Urban Food Strategies CoP! A key characteristic of the Foodlinks project is that it brings together different types of knowledge and experience from research, policy and civil society representatives. Foodlinks organises a collective process of sharing and integrating this knowledge around particular problems of food systems. You can read more about Foodlinks on our website and if you would like to receive the next edition of Foodlinks News you can subscribe here. Hi Anna, on the brochure of the conference you are introduced as the president of Nutrire Milano, could you please describe your role in the project? Actually I am not the president, I am just here as a spokeswoman of the project. I have been involved in NM (Feeding Milan) since 2008 together with Slow Food Italy, the University of Gastronomic Science of Pollenzo and the Polytechnic of Milan, which I represent in the project. I am working there as a researcher in service and strategic design with a particular focus on sustainability and design for social innovation. 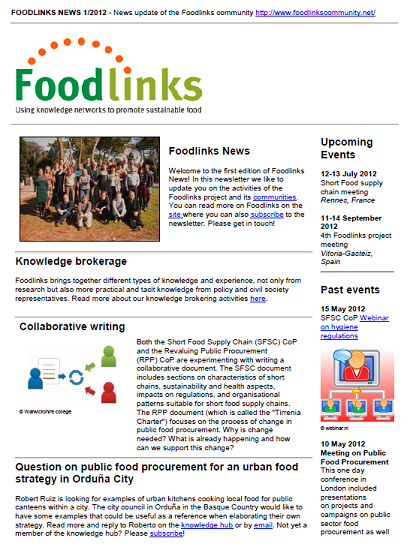 Here you can find the first edition of Foodlinks News! In this newsletter we would like to update you on the activities of the Foodlinks project and its communities. A key characteristic of the Foodlinks project is that it brings together different types of knowledge and experience, not only from research but also more practical and tacit knowledge from policy and civil society representatives. Foodlinks organises a collective process of sharing and integrating this knowledge around particular problems of food systems. You can read more about Foodlinks on our website and if you would like to receive the next edition of Foodlinks News you can subscribe here. Would you like to become a member of one of our communities? Sign up for the Short Food Supply Chain, Revaluing Public Procurement or Urban Food Strategies Community of Practice!